You can read and view Quick Files, and see them rendered on their own "File Detail" page. Each file has its own unique URL that you can use to cite and navigate to them. 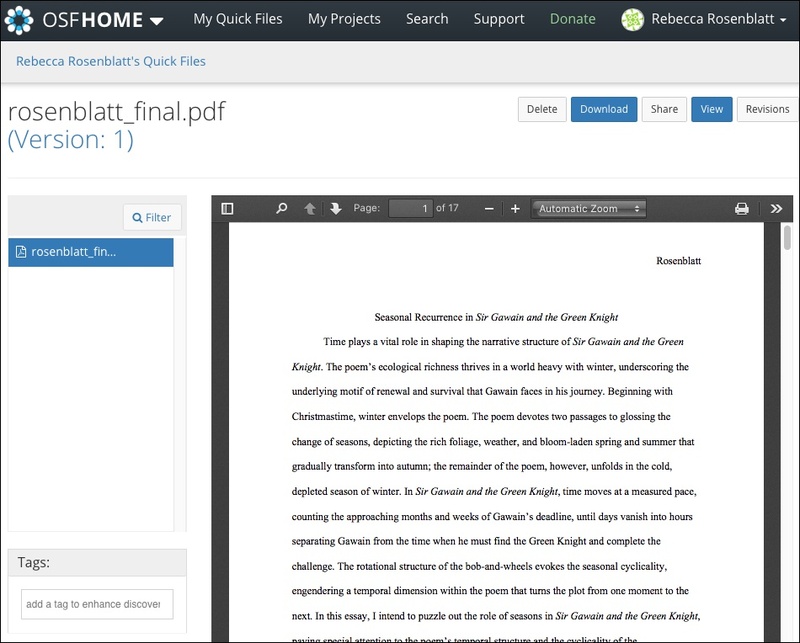 This help guide will walk you through how to view your own Quick Files. 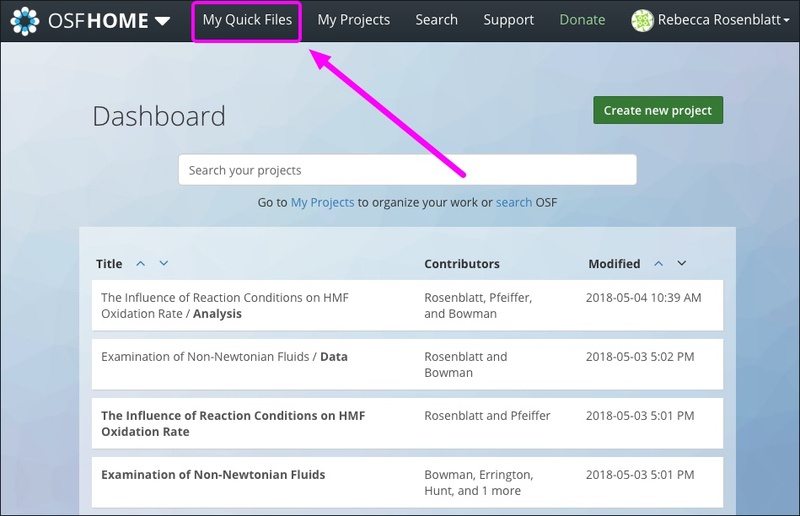 Quick Files shared by others can be viewed via OSF Search or from a user's OSF profile page. Click the My Quick Files tab in the navigation bar. Select the file that you want to view. 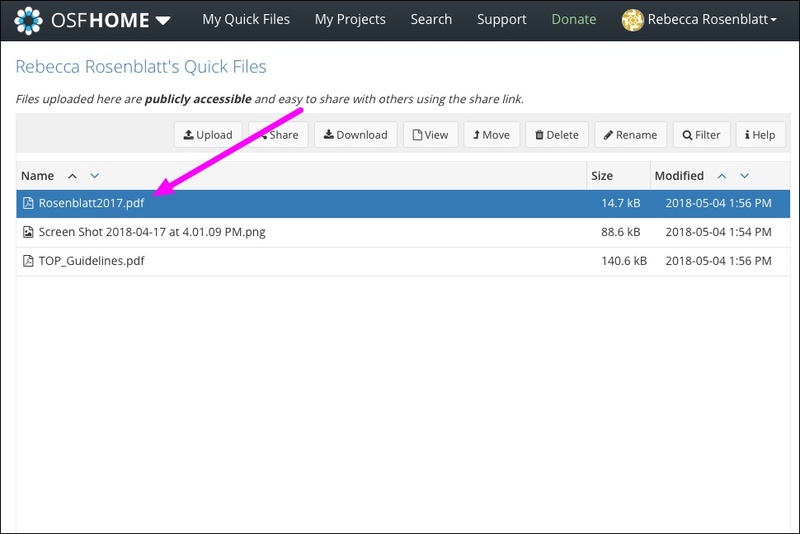 The "File Detail" page will appear, where you can read, download, and share the selected file. If the file is your own, you can additionally add tags and delete the file from this page. If the file is an image, click anywhere on the image, then use your cursor to navigate around it. You can scroll the mouse wheel to zoom in and out on details.